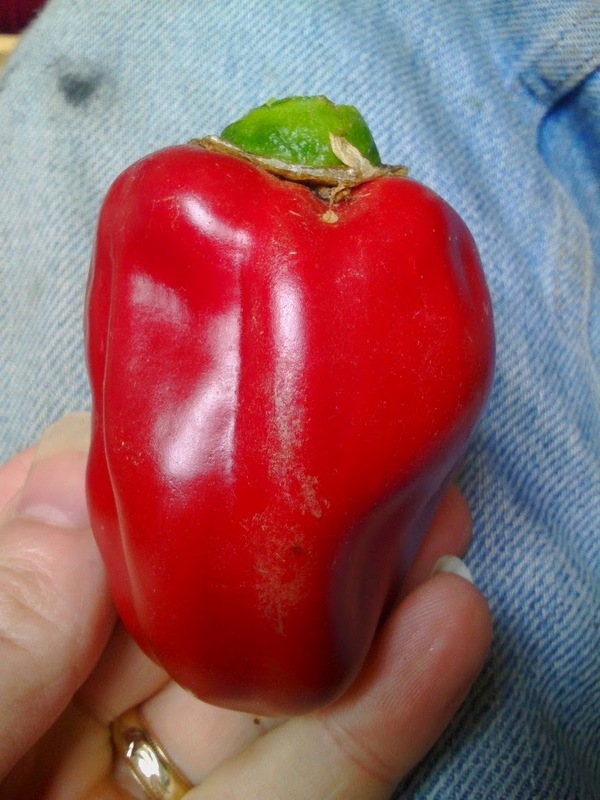 Although most of the fruit and vegetables are grown in the allotment, some of them are grown in the house or started off in the house. 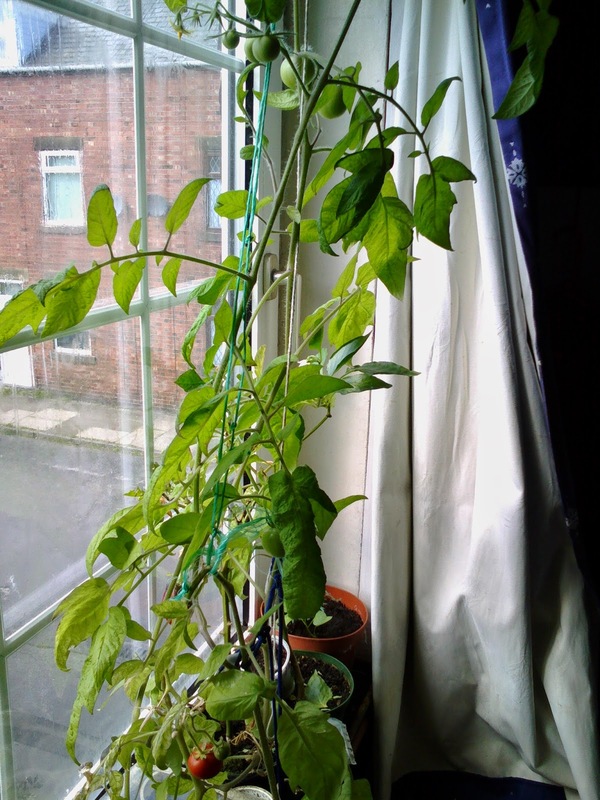 This tomato plant is an rooted offshoot of the five year old one that finally keeled over at the end of last year after one major fling in late Autumn. 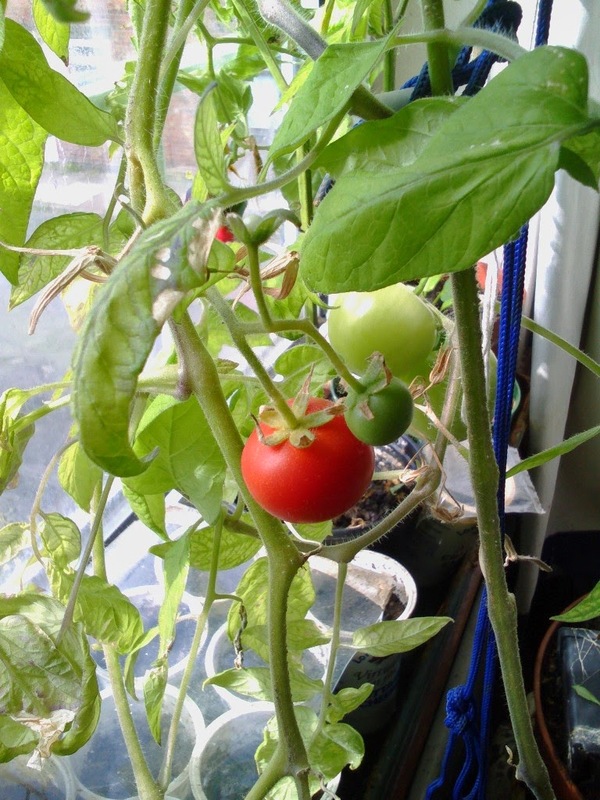 As with it's parent, this one is producing tomatoes at unseasonal times of the year, which is a great show-off really, as we have had home grown tomatoes straight off the plant for the past few years in the middle of winter and at Christmas! It is right next to a radiator - ironically its predecessor was more active when the heating came back on in the Autumn - and next to the window and gets regular feeds and rainwater. 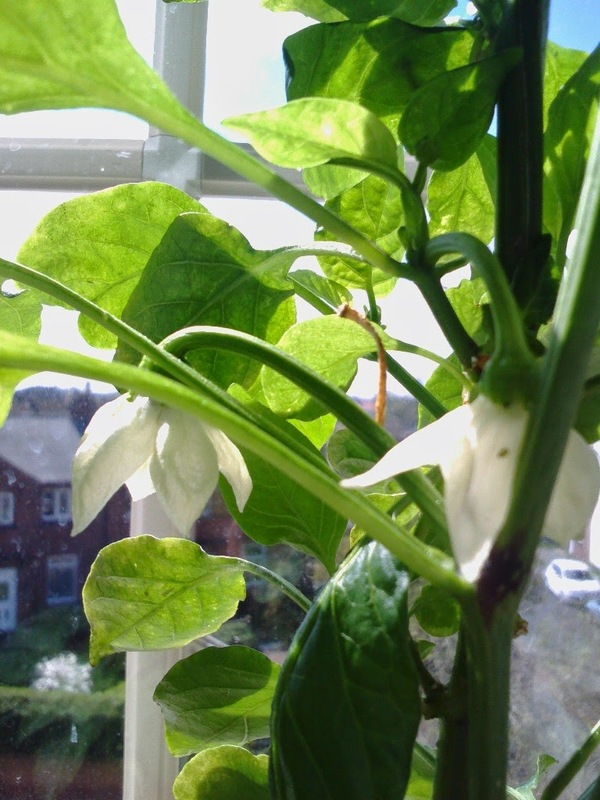 Peppers can be grown all the year around indoors, this is a bell pepper but there are chilli pepper plants on the windowledge as well. There's a succession of plants to give a steady supply. Meyer Lemon tree. This tree was given as a present, with about 9 lemons on it. 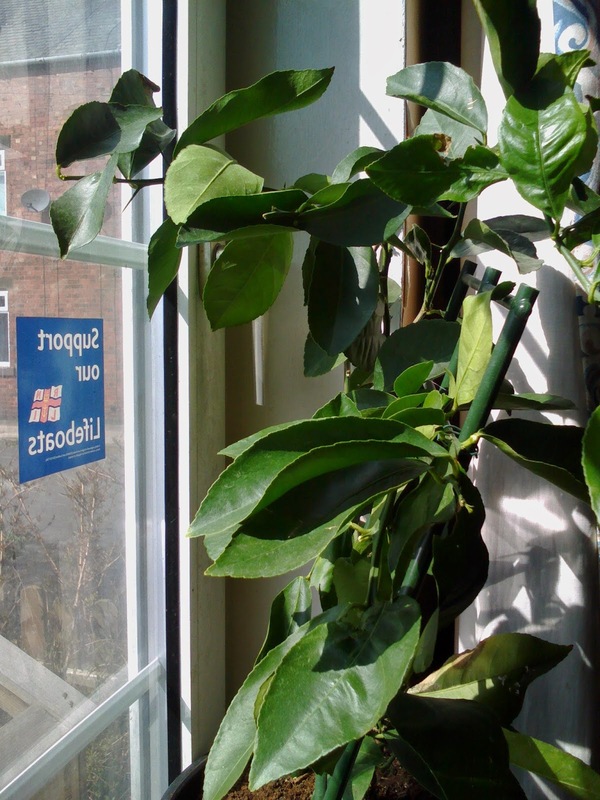 It has sulked a little since the lemons were taken off but now it is in the sunniest window it is starting to produce flowers again. 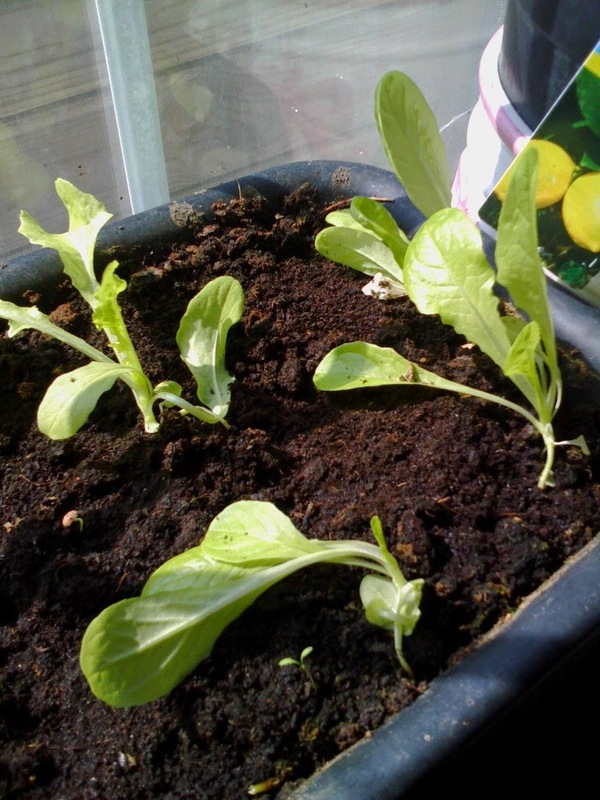 Lettuce seedlings. 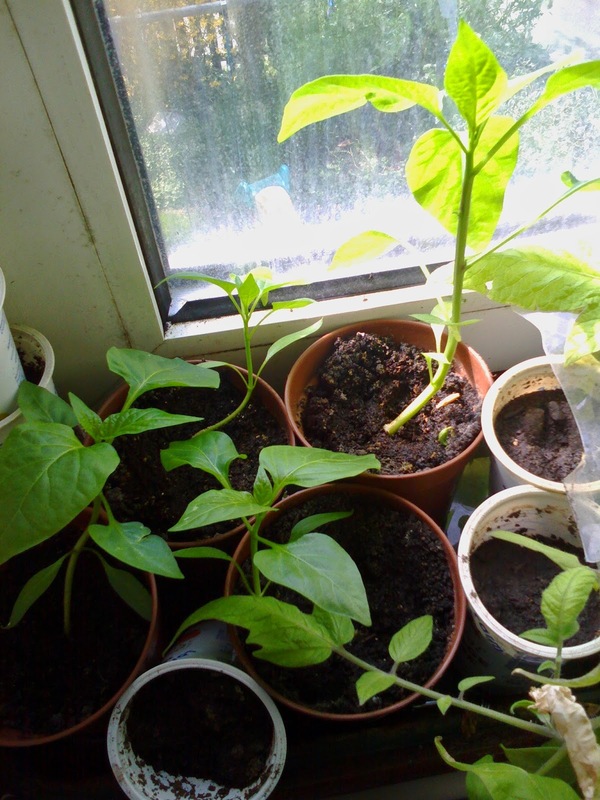 These will be grown in a window box on one of the windowledges but there are others that will be going into the allotment or outside pots. Also (out of shot) are some mini carrots designed for window boxes.